It’s easy to learn “what’s cooking” at the college with a gourmet luncheon at The Leis Family Class Act. Chef Lecturer Tom Lelli and Dining Room Lecturer Mark Malone are pleased and excited to announce that the first day of service for the fall 2017 semester will be on Wednesday upstairs at the University of Hawai’i Maui College’s state-of-the-art Pa’ina Building in Kahului. But hurry and make reservations fast as they are highly recommended and for very good reasons. The Leis Family Class Act Restaurant was voted in the Top 100 in the United States and No. 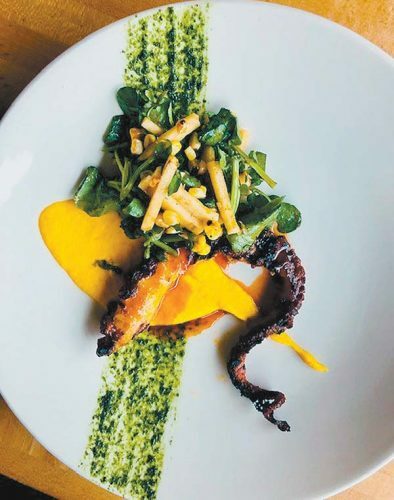 2 overall Best Restaurant in Hawaii by users on Open Table the last time I wrote about it in May. It’s got floor-to-ceiling glass views of Kahului Harbor, linens and fine crystal for when you bring your own bottle of wine for the experience. These days, the corkage fee is $5 a bottle. The Class Act also boasts a private dining room and an exhibition kitchen along with nice furniture. But if you can’t get in, do try one of the fast-food outlets in the expansive Food Court situated down the spiral stairs in the 37,656-square-foot, two-story colossus of a Pa’ina Building. Those outlets officially will reopen next week. 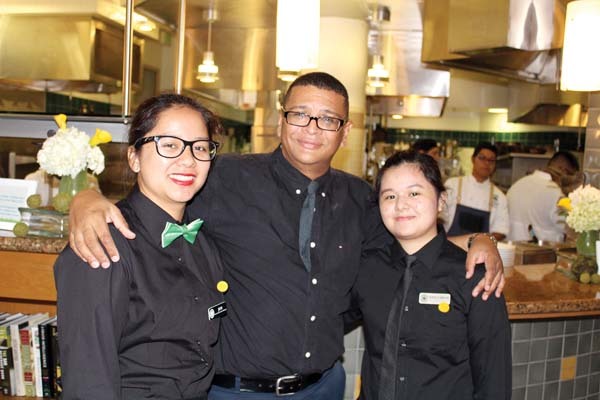 The students rotate from front of the house to the kitchen so they learn all aspects of how a restaurant works. 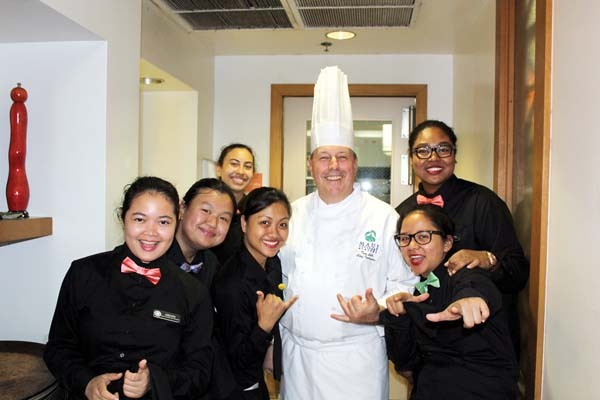 Chef Lelli teaches them international cuisines, which start with an American-influenced menu on Wednesday and repeat Friday, Sept. 1. Let Lelli and his student-chef team wow you with American pastrami-cured salmon and creme fraiche ice cream sandwiches with lemon relish; Mike’s wild mushroom cappuccino; salad of roasted beets served with compressed apples, goat cheese coulis, and candied macadamia nuts drizzled with carrot vinaigrette. Next week’s entree choices are red-wine braised short ribs with Yukon Gold potato puree and horseradish cream; vegetarian parsnip agnolotti with Hamakua mushrooms, sun-dried tomatoes, Swiss chard, parmesan cheese and broth; almond-crusted fish with citrus-brown butter; and pancetta-wrapped grilled pork tenderloin with roasted Granny Smith apples with vanilla, parsley potatoes and shaved Green Goddess slaw. Desserts range from light sorbets to more decadent strawberry shortcake and blueberry sour-cream sherbet. The Class Act menu switches to a Latin influence Sept. 8, 13 and 15; Italian menu Sept. 20 and 22; Moroccan meal Sept. 27 and 29; French feast Oct. 4, 6 and 11; and then it rotates all over again ending up with the final day of service Dec. 1. The Chef’s Table Tasting Menu Experience is also back by popular demand at 11:30 a.m. Fridays with small tastes of the entire menu for $75 per person. You must sit at the Chef’s Counter. • Hours: Open for lunch from 11 a.m. to 12:30 p.m. on Wednesdays and Fridays. • How much: The international four-course prix-fixe menus cost $31 to $43 per person per choice of entree. 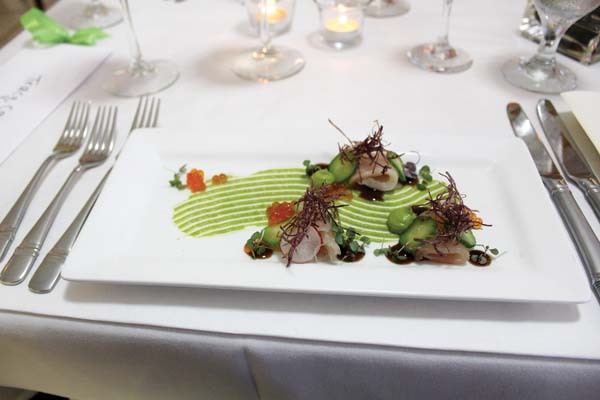 It also includes an amuse bouche, appetizer, soup or salad, and dessert. Tips go to student field trips. BYO wine for $5 corkage per bottle. • At Chef’s Counter: The Chef’s Tasting Menu Experience is served at 11:30 a.m. Fridays, featuring all dishes that day for $75 per person at the Chef’s Counter. • For reservations: Call Class Act at 984-3280 or visit www.opentable.com.